I have a particularly embarrassing confession to make. 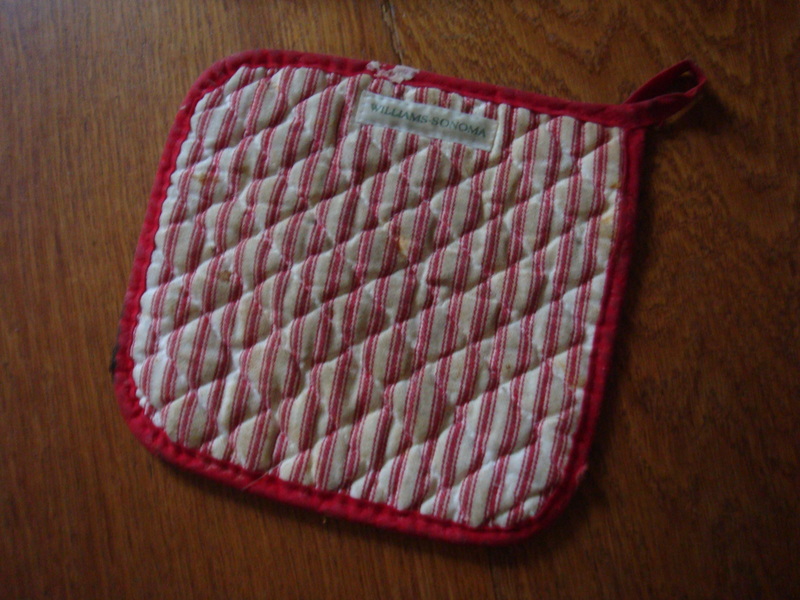 You see, I’ve been hanging onto this pot holder for a criminally long time. Too miserly to buy another one, too lazy to even look. 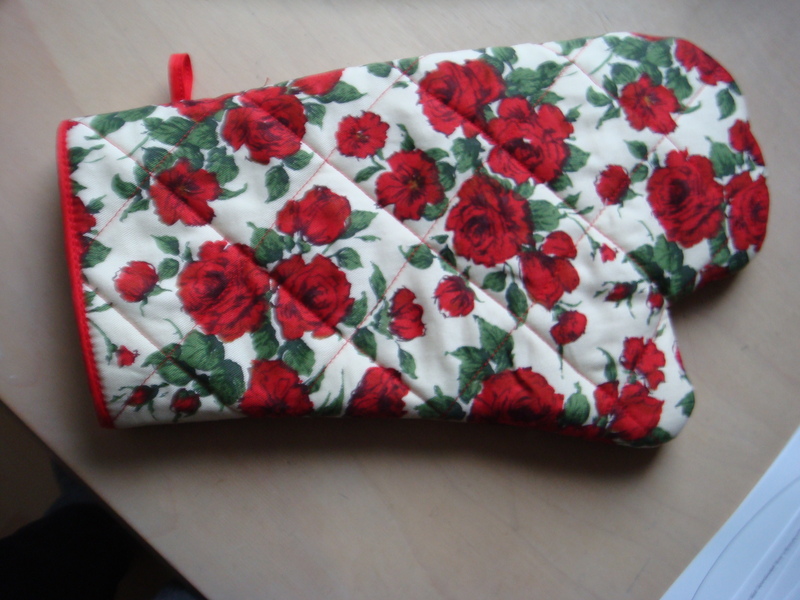 All the while this ‘thing’ has been blighting my kitchen for years. I’m not even sure how many!? I daren’t show you the back of it…. Finally, I realised the error of my ways and decided enough was enough! Well, actually I had been browsing fabric on the Liberty website when I came across a lovely little tutorial they have which spurred me into action! 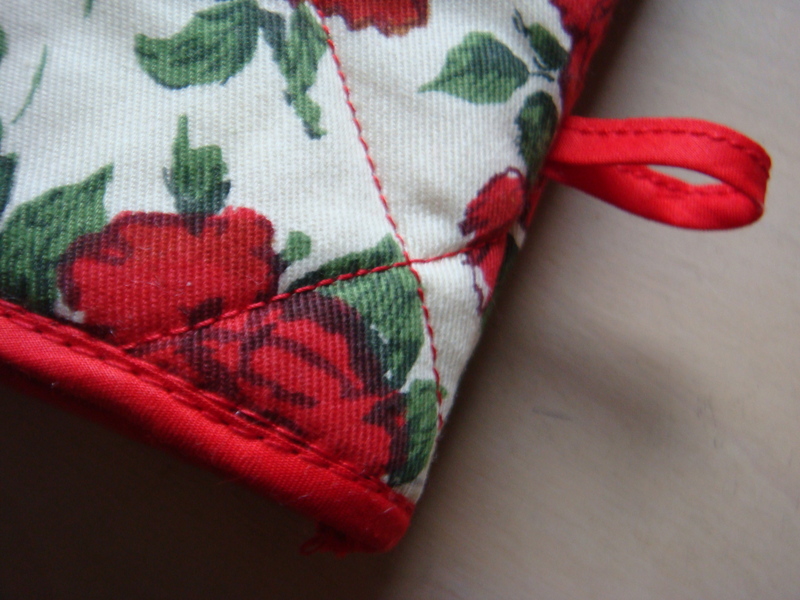 Naturally a Liberty tutorial demands Liberty fabric of course…. Lucky I had some in my stash! I’m not quite sure about the thumb/rest of your hand dip – I would have preferred a more pronounced dip, so would probably change it next time. Overall, it’s a great little tutorial and pattern! 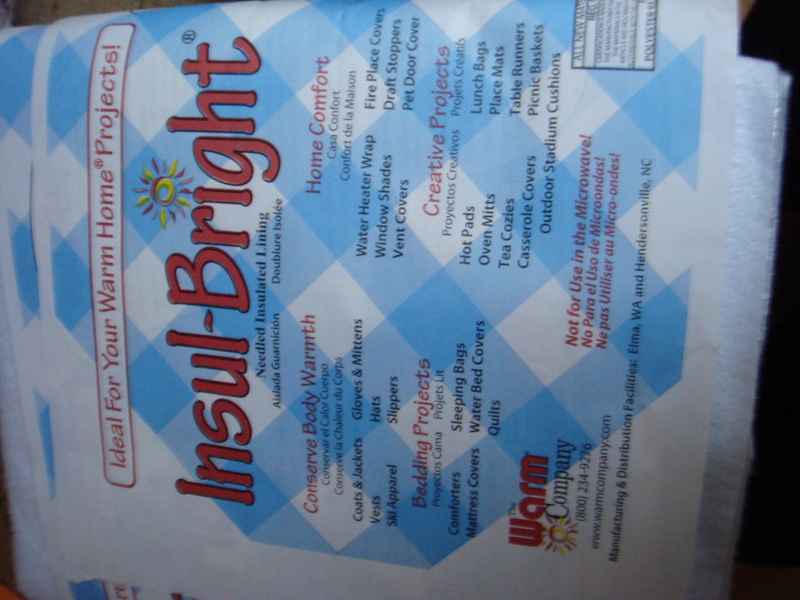 I am so going to look up this pattern!